Where does your dog sleep? Sure, your own bed or the couch are options, but they are not always ideal. Your dog needs a spot to retreat, a place to lay his head, somewhere soft and comfortable to call his own. 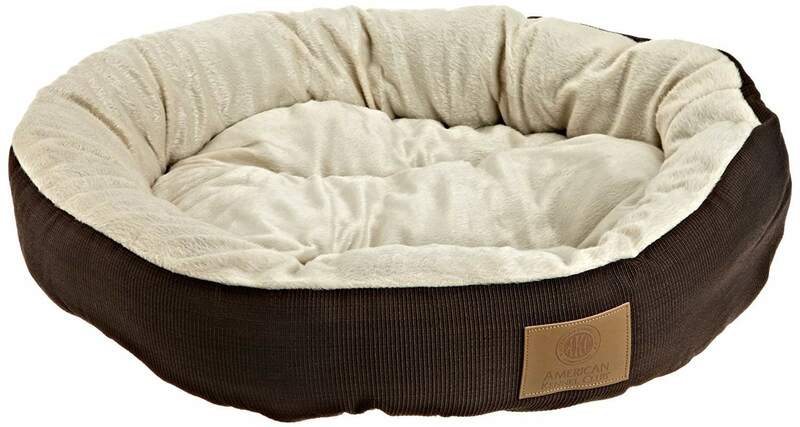 It's one of your dog's basic needs—a great bed! With numerous varieties, choosing a dog bed can be harder than it looks. Here is a rundown of dog bed varieties that are sure to satisfy even the most pampered of pooches. Standard dog beds look like cushions or pillows and do not have edges or rims. They are available in many shapes, sizes, materials, and colors. Shapes typically include round, oval, rectangular and square. Many of these beds are covered with materials such as fleece, flannel, denim, faux suede, or microfiber. They often contain polyester filling and/or foam padding. Some beds are also filled with cedar chips to deter odors and insects. Standard dog beds range in quality from basic economy to expensive designer versions. Many have removable, washable covers. Standard beds are great for all dog breeds, but may not offer the support needed for senior dogs or dog with orthopedic problems. Nest dog beds are very similar to standard dog beds, except they have raised edges. The rims or bolsters on these beds may surround the entire bed or only a portion of the bed. Some nest beds actually resemble sofas or couches. The raised edge feature makes it ideal for your dog to lean on or curl up - just like a nest. Many dogs find these beds exceptionally comfortable. Plus, they just look adorable all nestled in! Nest beds work well for any kind of dog that likes to curl up or lean back. Much like nest beds, donut dog beds provide a rim or edge around the bed. This edge is a pillow-soft bolster that lets your dog really curl up and sink in. These beds are typically round or oval and made of very soft materials. Donut dog beds are extremely plush and some of the most cuddly dog beds available. Dogs love them! Donut beds are great for dogs that like to curl up and get cozy. However, some old or weak dogs may have trouble getting in and out of these beds because they are so plush. Orthopedic beds are designed especially for dogs with arthritis or other orthopedic problems. Made with high-quality thick foam, these beds provide extra support for your dog's body and put less stress on joints. Though comfortable for any type of dog, seniors and very thin dogs will especially benefit from orthopedic beds. Like standard beds, they are available in a wide variety of colors, sizes, and shapes. Dog beds are often made especially to fit kennels and crates of many shapes and sizes. This can be much more practical than bulky blankets, but more comfortable that papers or thin disposable pads. Some companies manufacture water resistant beds or bed that are easier to clean. If your dog spends a significant amount of time in a kennel or crate, a bed is essential. Many companies make beds that are raised off the floor. Some are standard, nest, orthopedic beds or even mattresses inside a raised frame. Frames may be made of wood, wicker, metal or plastic. Other raised beds are actually designed to look like dog-sized sofas, even down to the smallest detail. Imagine it - you could actually match your dog's furniture to your own! One benefit of a raised bed is that it keeps a bit of distance between a cold, dirty floor and your dog. Plus, insects have a bit farther to go before they invade your dog's bed. Covered or hooded dog beds are yet another way for dogs to snuggle up. With the appearance of small houses or tents, these beds provide a small plush retreat for dogs. Some covered beds are made entirely of plush bedding, while others consist of a standard dog bed inside a rigid house or wicker basket. A covered dog bed is a cute and unique way to give your dog a special place. Covered dog beds are great for all types of dogs, but small breeds tend to be especially fond of them. These beds are also wonderful for shy dogs that might like to hide. Want to give your dog an extra-warm place to snuggle up? Heated dog beds are a great way to do this. When combined with orthopedic features, heated beds can be highly therapeutic for dogs with achy joints. These beds work like heating pads or electric blankets. Though designed with safety features to protect your dog, always to be sure to follow the manufacturer's instructions. 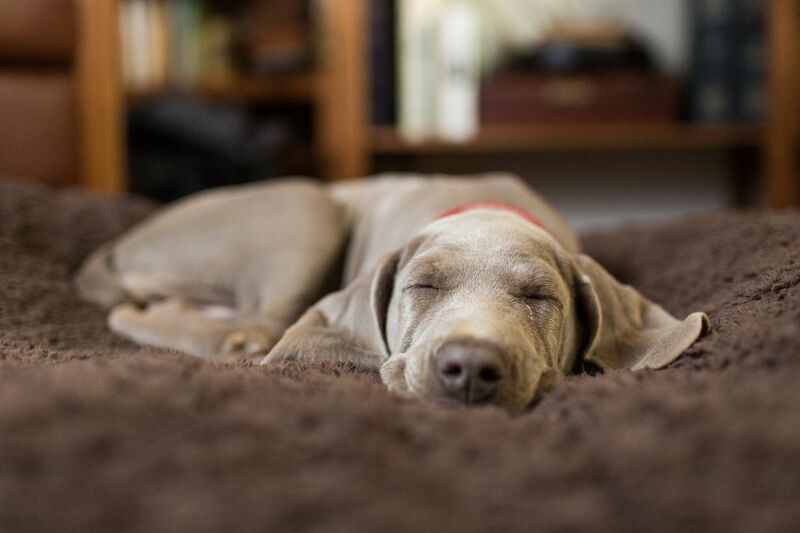 Heated beds can benefit all types of dogs, but thin and/or tiny dogs may benefit the most. Outdoor dogs will do better in colder seasons of they have access to a heated bed. Have you ever noticed your dog lying on a cold hard floor after he's been out playing on a warm day? Sometimes dogs really enjoy that cooling sensation. Fortunately, there are dog beds that offer a cool yet comfortable surface for your dog to relax and cool down. Cooling dog beds are typically made out of plastic or similar material and are filled with water or a gel-like liquid. For your pet's safety, always follow the manufacturer's instructions. Though cooling beds are great for any type of dog, breeds with a tendency to overheat will benefit the most. This especially includes Bulldogs!